One of our typical problems nowadays is hair loss. Our hair is considered one of the most important assets to build up our appearance and confidence. Balding and thinning hair is a problem we want to solve as soon as possible. The common factors that can cause thinning hair are poor hair care routine, use of wrong hair care products, hormonal imbalances, excessive physical and emotional stress, nutritional deficiencies, allergies, pollution, and heredity. Below is a natural hair growth treatment that will make your hair longer and thicker. 1. Cut the onions into smaller pieces and set aside. 2. Put the water into the pan and boil it. 3. Add the onions and boil it for 10 minutes. 4. Remove from heat and let it cool. 1. Wet your hair with water. 2. Use a mild shampoo to clean your hair. 3. 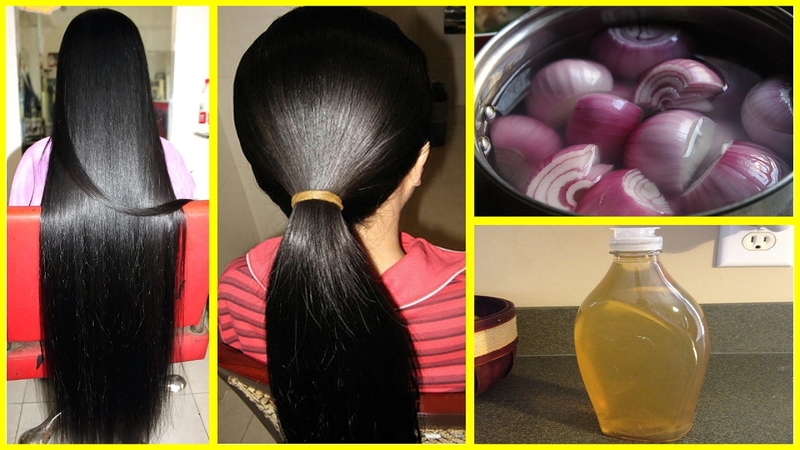 Use the onion water to rinse your hair. 4. Repeat twice a week.